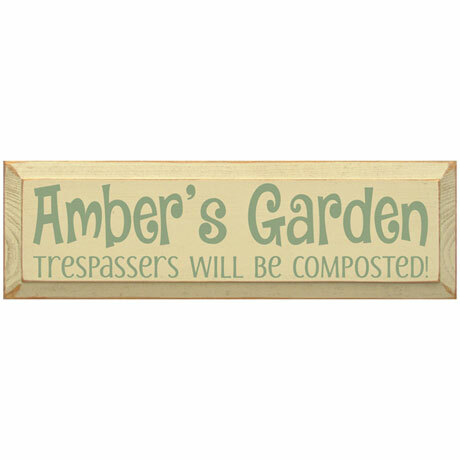 No trespassing in this garden - or else! This cute sign does its best to prevent rabbits from nibbling your carrots and deer from stealing your flowers. 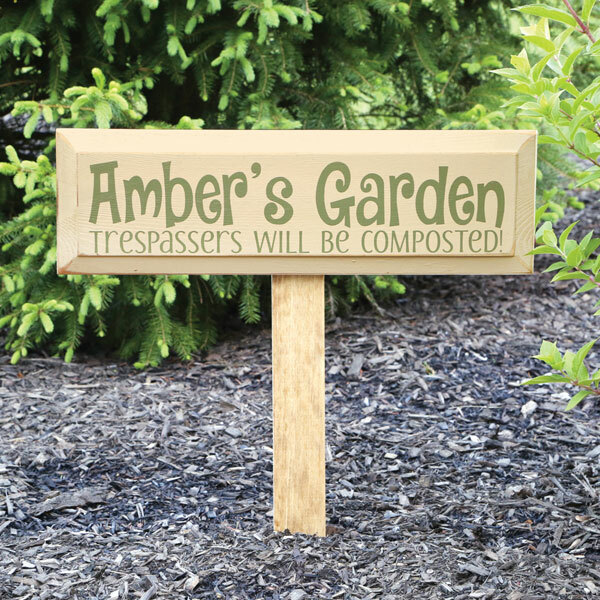 Personalize with name/phrase up to 20 characters ("Garden" is not automatically included). 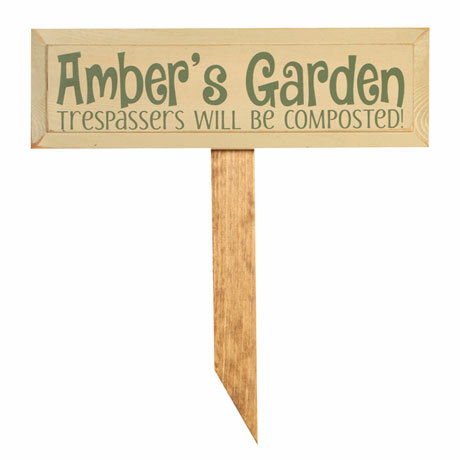 A single stake is included with screws to attach and plant directly in the garden, or sign has a hole in the back for hanging. Sign measures 5.5" x 18". Please allow 2 weeks for delivery. Made in the USA. No rush delivery or gift box. Item can only be shipped within the Continental US.